Jim Determan, FAIA is a long-time friend of the firm. We are pleased to announce he has joined CGD as a new principal and trailblazer, opening a CGD Baltimore office to serve the Mid-Atlantic market. Jim’s 30-year career is marked by his fruitful efforts to advance the design of learning spaces by way of leading a multi-disciplinary team of architects, educators, and scientists through several AIA-funded research studies, illustrating the power of design to make a positive impact in the lives of students. His research on Learning Space Design for the Ethnically Diverse American Classroom was published in 2015 by AIA and SCUP (Society for College & University Planning) then presented to universities and at conferences across the country. With CGD’s foundation in Learning Space Design, the integration of this research is an extraordinary development for end-users of educational spaces. Currently, Jim is leading a new AIA-funded study, The Impact of Biophilic Learning Spaces on Student Success. Partners include the Salk Institute for Biological Studies, Morgan State University, Terrapin Bright Green, and Green Street Academy. Findings will be published in 2019. Jim’s portfolio of award-winning educational projects inspires the profession. His work at Green Street Academy received AIA Maryland’s 2016 Public Building of the Year Award and earned LEED Platinum from USGBC Maryland. For 20 years, he taught and mentored at Morgan State University, encouraging minority students to pursue architecture and assisted emerging professionals as they transitioned into practice. Jim’s advocacy efforts include promoting sustainability requirements in Maryland, innovation in school design, and, during the economic downturn, testifying to the U.S. House of Representatives on behalf of small businesses. 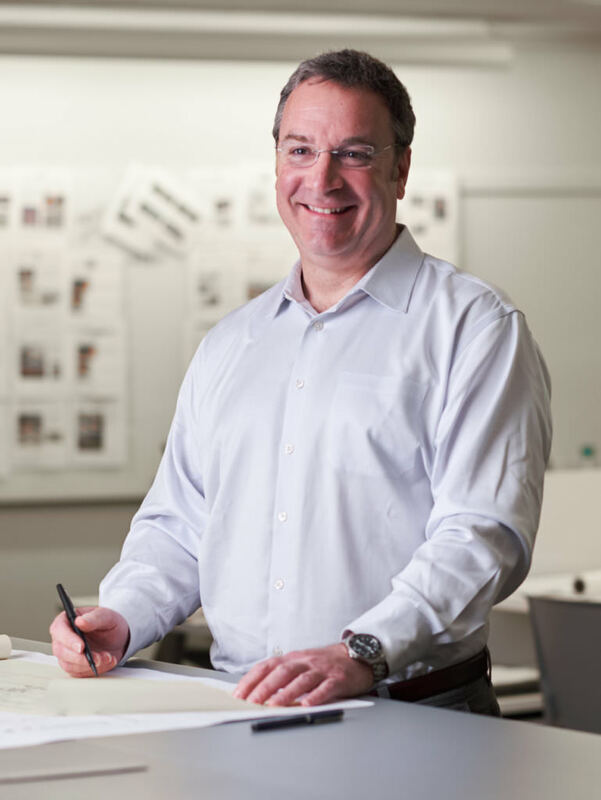 Jim was the 2004 Director of the Board for AIA Maryland, the 2005 President of AIA Baltimore, 2009 Upjohn Fellow for service on the AIA National Board of Directors, and was elected to the AIA College of Fellows in 2012, the highest honor within the profession. Welcome to the team, Jim!